Summer 2016 could be remembered as the summer of Zika, with thousands of confirmed and suspected cases of the virus, real fear among travellers to affected regions, and withdrawal from the Rio Olympics by dozens of worried athletes. Eurofins responded with the fast-track development and emergency launch of a test to help stop the spread of this heart-breaking and virulent virus. The Zika virus was first linked to a fast growing number of cases of microcephaly (a condition resulting in smaller-than-normal head size) in newborns, particularly in Central and South America. Global concerns grew when travellers to these areas, and to others endemic to the virus, began to test positive for Zika. Spread primarily through mosquitos, Zika virus can also be passed on by some forms of sexual contact. Determined to assist its clients and patients prior to the onset of the mosquito season, Eurofins Viracor became one of the first commercial laboratories to develop and offer a real-time polymerase chain reaction (PCR) test for Zika to hospitals and health care providers. Working in partnership with the US Food and Drug Administration, the Company obtained emergency use authorisation in July 2016, making the test swiftly available for use during a declared public health emergency. Eurofins’ Zika assay tests human blood serum, blood plasma, or urine (the latter collected alongside a patient-matched serum or plasma specimen) from individuals presenting Zika-virus signs and symptoms. It also tests those who have a history of living in, or travelling to, affected areas. This rapid-response test gives doctors and healthcare professionals a result within just eight to twelve hours of receipt of the sample by Eurofins’ laboratory. 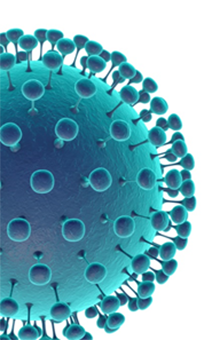 The assay’s exceptional sensitivity safeguards against cross-reactions with other viruses in the same family (Flaviviridae), including Dengue, Japanese encephalitis, West Nile, and St. Louis encephalitis, or with other viruses known to cause similar clinical symptoms, such as Chikungunya. Eurofins’ real-time PCR test for Zika virus is designed to detect and measure ribonucleic acid (RNA). RNA is extracted from the specimen and reverse transcription of viral RNA to DNA is used. With the help of the polymerase chain reaction (PCR), a laboratory method used to make very large numbers of copies of short sections of DNA from a very small sample of genetic material, the number of DNA copies obtained is amplified and enables specific genes of interest to be detected or measured.